Some researchers could argue that rewarding a child or student every time the child exhibits some positive behavior is only reinforcing the idea that the “real world” will have similar results. There are some parents and teachers who believe students should not receive participation trophies, but think students should have to earn their reward by excelling above the competition. Let’s agree, but to some extent. A student that doesn’t participate in the group project should not be given an award when their group wins just for being part of the group. However, students who put hard-work and dedication into a project and do not win can be given a participation prize. If not, what does that say to their commitment? Giving a trophy or prize for those who win a competition will honor their effort and excellence, but some acknowledgement for those who did not win allows the students to see that they do not have to win to be proud of what they have achieved. A reward system that acknowledges positive behavior can be more effective than just putting emphasis on negative conduct. For example, moving a card on the wall from green to yellow because of speaking out of turn is a negative system. Here are some reward systems ideas that can be used to enforce positive behavior, instead of only highlighting the negative conduct. There is a book called, “Have You Filled Your Bucket Today?” by Carol McCloud, that encourages students to be “bucket fillers”. To follow along with this premise, have a jar for every student with their name on it, that they can decorate on the first day of class. Every time the student does a good deed or makes a good choice, the student can place a bead (or any other small object) into their jar. Once they reach a certain bead count, they get a reward, which can be anything. Have milestones for the bead-count, such as if the student reaches 10 beads they get to each lunch with the teacher. Once they reach 20 beads, the student gets an extra 5 minutes on a test of their choice. Don’t make it a competition with other students, as the others can still get the same rewards once they reach the bead count. It’s important it does not become a competition where one wins and everyone else loses. It’s not bribery; it’s motivation! This method is for things that the entire class can participate in together, so as not to make it a competition. It’s important to provide the team-mentality versus a competitive mindset. Examples would be the entire class had an overall increased percentage on a test that everyone worked hard to study for. This could be done on tests the teacher gives every week, like spelling quizzes, that give the ability to follow the percentage trend. The entire class practiced the words in and outside of school, their dedication and hard work paid off by receiving improved scores! The reward for the progress could be something as simple as taking time out of class for the entire group to go outside and play a game of kickball, with the teacher being involved by pitching to the students. Also, if the students reach their “goal percentage”, which could be the average score is an A or B, then the classroom could have a “theme day” of the students’ choosing. It could be pajama day, favorite sports day, etc. Something fun, light, and that all can participate in. 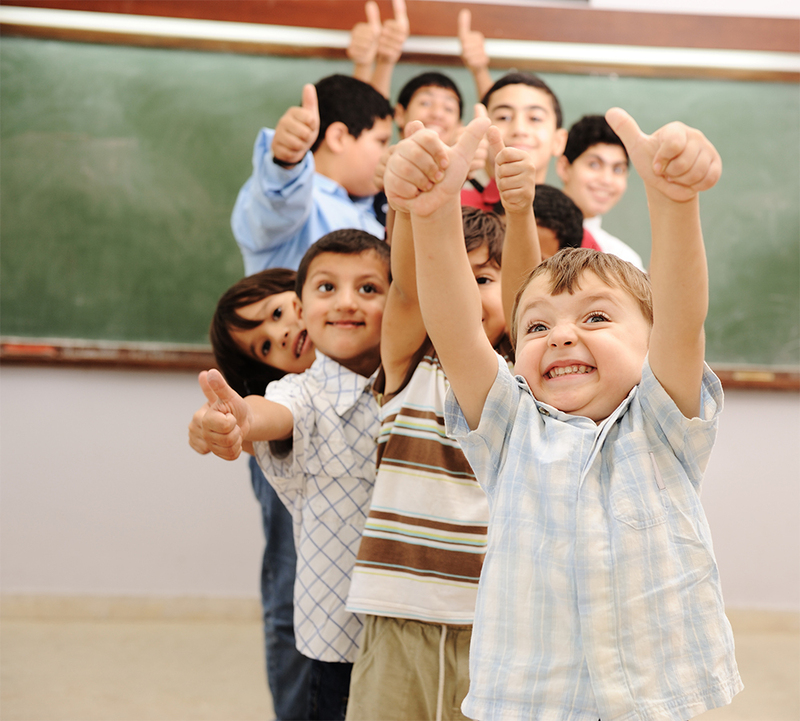 In the end, it is about recognizing students for good behavior or a job well done. Reward systems do not need to be a winner takes all. Previous Post Why We've Changed Our Name Next Post Get Your Students Talking!